Hey everybody. It’s summer and it’s hot, so let’s get this going so we can hit up a water park. Apparently, some huckster/situational opportunist/genius(?) noticed an ongoing trend amongst festival-goers as being highly impressionable and having too much money, so he got a crew together and decided to turn this demographic into a bunch of marks. How did they do it, you ask? Easy – by taking advantage of the artisan water trend. So what kind of water did they use? Did they infuse it with some generic seasoning? Did they add food coloring to make it “special?” Did you read the headline of this section? Hot dogs – they used hot dogs. 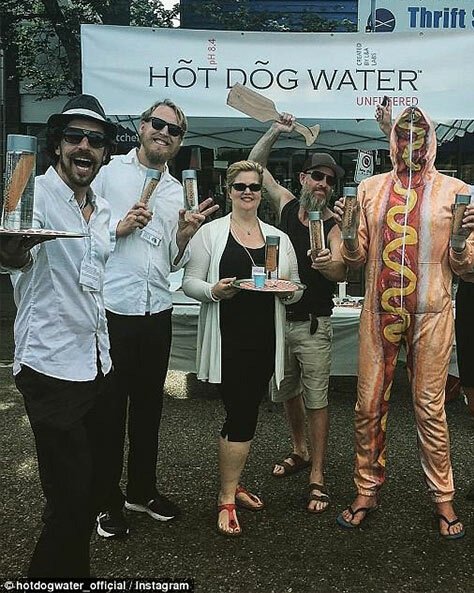 This group seriously took hot dogs, boiled them in water, poured the water (along with a hot dog) into a clear bottle, and then slapped a $38 Canadian (about $28 American) price tag on it. They then printed out a sheet claiming the water would help lose weight, increase brain function, make you look younger, and increase vitality. Now, I’m sure you’re reading this with a confused look on your face, thinking, “Who on Earth would be dumb enough to fall for this?” Well, let me tell you: festival goers. 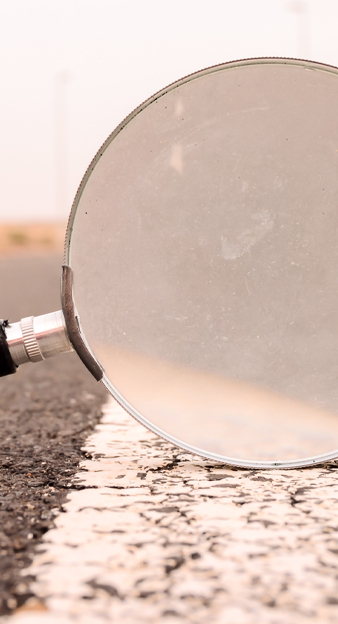 Many wanted to utilize the health benefits, while others just wanted to get on the forefront of this emerging trend, but regardless, dozens forked over their (or their parents’) hard-earned money for a bottle. Fear not folks, this story does have a happy ending. The whole venture was entirely fabricated for the sake of helping people look more thoroughly into things and think more critically. 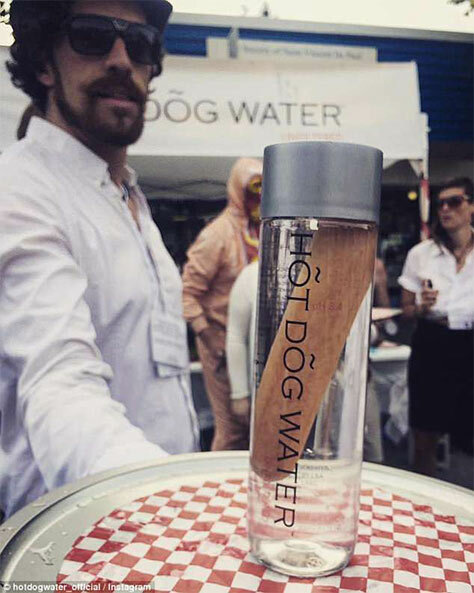 On the sheet listing all of the “benefits” of drinking hot dog water, there was a small paragraph at the bottom stating that the absurdity of such a product should lead consumers to think more about what they buy. It’s a bird. It’s a plane. 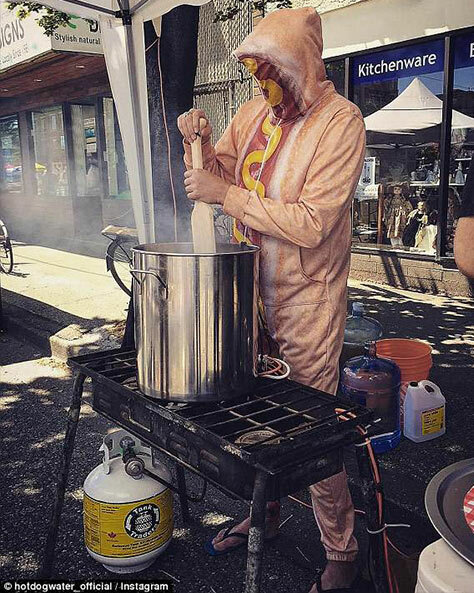 It’s… well… we still don’t really know what hot dogs are made of… but the Super Hotdogger delivered us one anyway. Forget everything from Marvel and DC. Oscar Mayer’s Super Hotdogger is the superhero America needs right now – because we’re really hungry. When a stomach is rumbling, he’ll be there. When a bowl of boxed macaroni and cheese is sitting unaccompanied, there he is. When it’s three in the morning and a drunk person is staring inside an empty fridge, he answers the call. The Oscar Mayer Weinermobile has transcended the clever advertising realm and become a mainstay in popular culture. But as time went on, the need for more novelty hot dog-shaped vehicles grew. So, over the past few years Oscar Mayer added a fleet. Now the good people are blessed with not only a Weinermobile, but also a Weinerdrone, a Weinercycle, a Weinermobile Mini, and a Weiner Rover. And as comprehensive as this list of vehicles may be, they weren’t done yet. Before we go any further, I’m just going to ease your mind by letting you know that I’m not going to go into any sort of politics. Look, I just got my job here, and I’m not looking to get fired due to my dumb opinions. 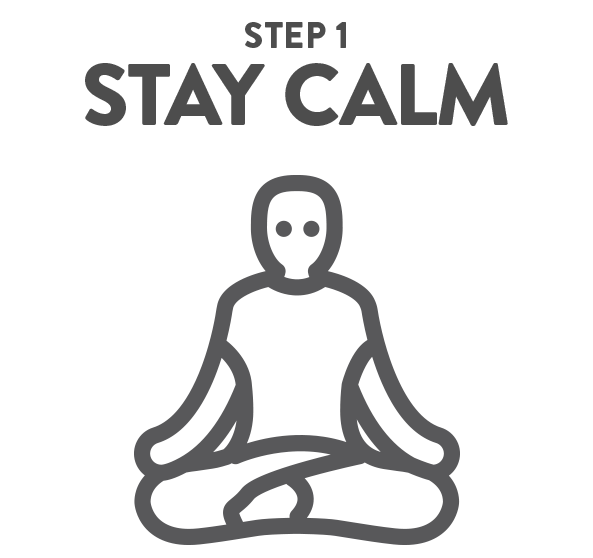 Well, let me tell ya, it’s not easy, but I’ve devised a progressive three-step plan to help you keep your cool in these hot times. The first step in preventing you from screaming obscenities from the top of your lungs out of rage is to realize that most of these social media sites are supposed to be an entertainment source, nothing more. That’s right, aunt Brenda may be family, but don’t let her memes about Antifa get you going. What she’s sending isn’t gospel. And as for your old high school friend, Tim, he’s the exact opposite of right when he says that, “311 is the best band in the universe.” Seriously, it’s best that you ignore them and go about your day (personally, I’d probably unfriend Tim and swear to never see him again, but now we’re getting to more opinions). If step one isn’t helping your urge to throw a Molotov cocktail at your wireless router (thanks, TIM! ), this next tip should. Look at cute animals online. Is Aunt Brenda talking about Alex Jones again? Watch videos of cows acting like puppies. Is high school Tim talking about how “Amber” by 311 is the most beautiful song he’s ever heard in his life? Go to Google Images, and type “Corgi Rottweiler mix” (or find some cute corgi videos because Tim is really actin’ a fool). 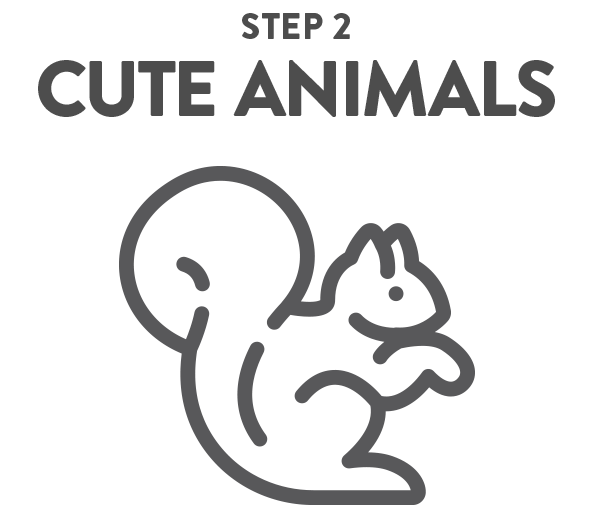 And finally, if hours of cute animal pictures and videos still aren’t calming you down about Tim and his stupid opinions, this third step should help. 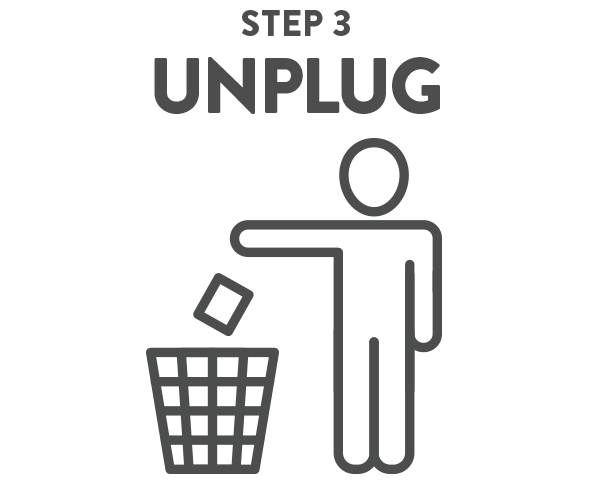 Step 3: throw your phone and/or computer away. Seriously, if you’re taking things so personally online, you probably don’t deserve to use such a miracle of modern technology anyway. You can’t handle the opinions of others with grace, you shouldn’t be constantly connected. We should all have fun and don’t need such negativity (except for Tim). A couple of months ago, I stumbled across this article about a young, twenty-something socialite staying in a boutique hotel in Soho, and I just can’t get it out of my mind. I’m not going to spoil all of the twists and turns here, but it’s essentially a true story about how people aren’t who they seem to be. Some people may put on some false fronts to appear more glamorous or financially well-off than they actually are. This is a longer read (which tagged on to my already long-winded rambling, may not be something you’re up for quite yet), but I assure you, if you’re willing to take the time, you’ll be glad you did. Be yourself, folks, and earn what you get. A major restaurant franchise whose name is an acronym for the food it’s best known for has changed its name to market for an entirely different food? While many call the idea brebosterous, I, bersonally, think it’s a bretty solid idea. 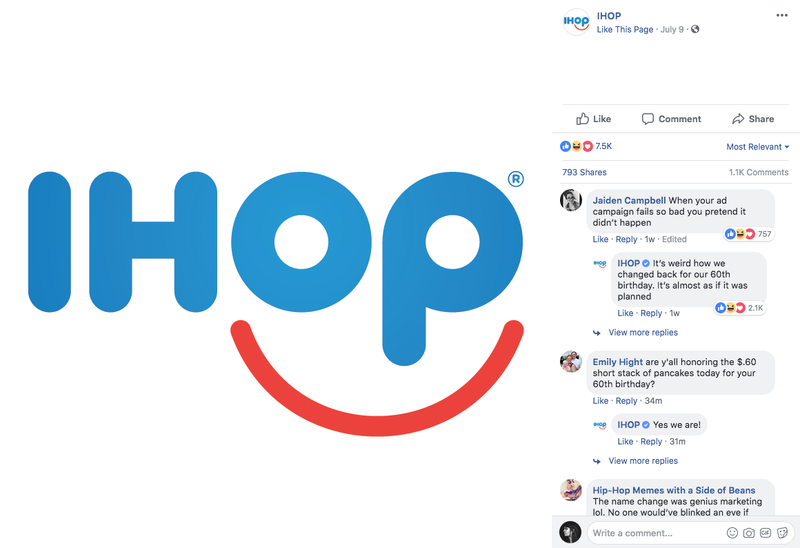 Berfectly executed, IHOB. I abblaud you. And there you have it. Another list of five is in the books. Now find a pool and do some gal darn cannonballs!